What Are The Best Beginner Mandolins? 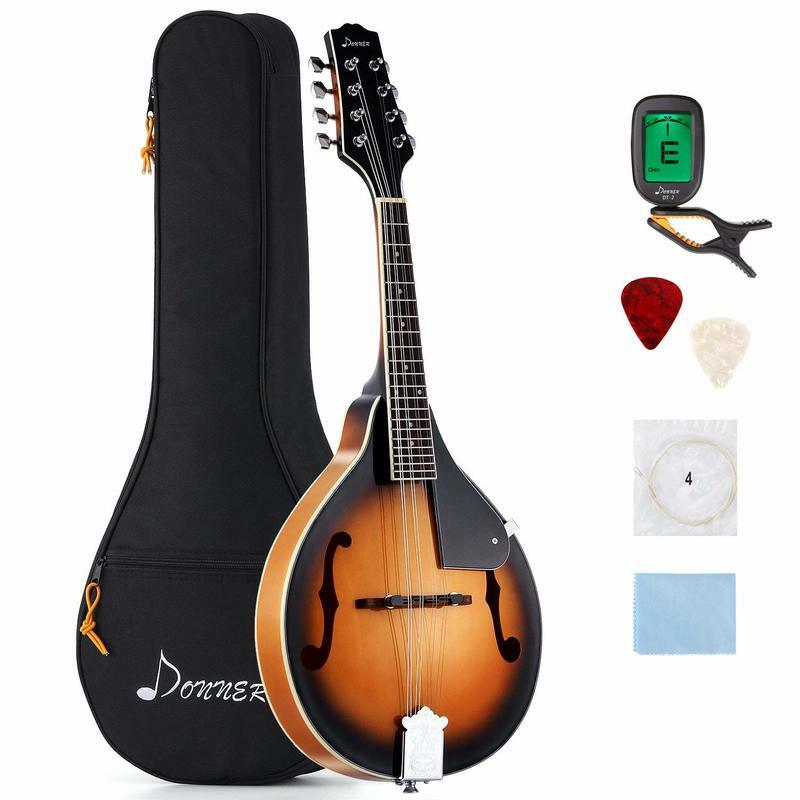 I know of some very good, yet affordable, beginner mandolins that you can buy online for under $150 that are well made, enjoyable to play, produce a nice crisp mandolin sound and are durable. Of course, you want it to be made well, without a history of problems, but if there is one other feature I would look for, it is a fully adjustable bridge; one that you can move and change the height on. Why? Because the "action", meaning the space between the fret board and the strings, can make the difference between finger blisters or a crisply produced sound. This is true of all stringed instruments, but for the double stringed mandolins, it's more so. Sometimes, just getting better strings is not enough (I think D'Addarios are the best, by the way). Being able to lower the bridge (action) is a feature I always look for. So, for that reason, I usually recommend those mandolins with a fully adjustable bridge and geared tuners (to keep the strings from slipping out of tune) for beginners. Learning to play a new instrument should be enjoyable, not a chore, and the instrument itself should not be the cause of such frustration, that you give up learning. If you are going to buy your first mandolin, or give one as a gift, I recommend you also get a learning book/CD/DVD, a set of picks, a tuner and a strap. If you can afford it, also get a case or "gig" bag (soft or padded case) to keep it safe from bumps and tumbles. Many new stringed instruments like these ship with the bridge/strings unattached and require some set up. If you need help, you can take it to a instrument shop (with a Luthier) to have someone else do it for you or you can go online and find out from mandolin maker. I will be including some instructional videos on that soon to help you. Most mandolins tonal sound will improve with age, especially those with solid wood construction. Can You Buy A Good Quality Manolin Under $500?